Born in Mexico and brought up on the beach, Corona is the perfect compliment to life’s simple pleasures. The golden colour, light refreshing flavor and iconic hand painted bottle, topped off with a freshly squeezed lime. When the living is easy, the beer is Corona. Corona beer’s history begins in 1922 when Grupo Modelo was formed and directed in part by Spanish immigrant Pablo Diez. 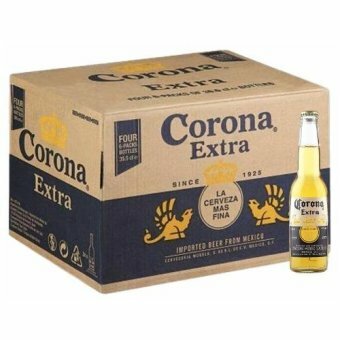 In 1925 the first production run of Corona was bottled and within a decade it had become the top selling beer in Mexico. Part of the beer’s success can be attributed to its carefully planned packaging and marketing strategies. From its origins, the company worked hard to come up with innovative ways to present its beer as a modern and refined Mexican drink, offering a competitive alternative to Corona’s biggest rival in Mexico pulque. It soon introduced the first bottle with the label printed right on the glass instead of a sticker. The bottle itself still touts this beer as la cerveza mas fina (the most refined beer). In 1979, the company began selling their beer in the United States. By the mid 80’s the Mexican beer was a U.S sensation, especially among surfers and young college men, many of whom had visited Mexican beaches and had seen the distinctive clear long neck bottles with a crown logo. These consumers were thrilled to see their favorite Mexican spring break beach beverage available at the convenience store near their homes. U.S sales of the beer skyrocketed and by 1985 Corona was being exported to New Zealand, Australia and Japan. 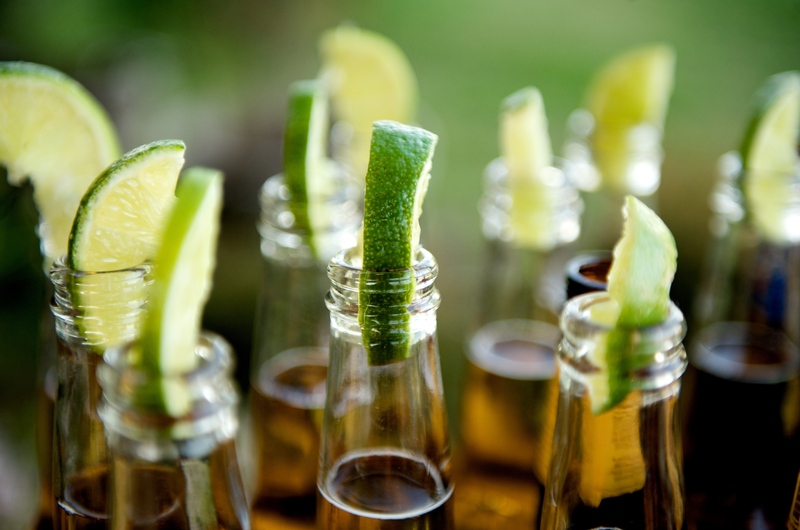 The beer’s enormous success north of the border surprised everyone including Corona executives, who scrambled to avoid shortages of the product around the country. The company encourages consumers to lead a more relaxing lifestyle in the spirit of Mexican beach bum Jimmy Buffet’s Margaritaville anthem. Buffet himself has appeared in a number of Corona ads and products. The company’s philosophy includes the carefree notion of living in the moment with old and new friends, insisting that “we try not to complicate things”. The Corona name and logo conjure visions of people on the beach stuffing wedges of limon in their long neck bottles to add a tangy twist to their sunny lives.